Hellabrunn Zoo has two Visitor Information Centers situated at each entrance of the zoo. The centers are staffed by knowledgeable, helpful employees who are happy to provide general information about the zoo. You can also receive information on gift vouchers, annual passes and how to adopt an animal. Hellabrunn’s Visitor Information team are ready to assist you seven days a week, 365 days a year. During public & Bavarian holidays we have opened our Visitor Information Center at Flamingo-Entrance from Monday to Sunday; outside the holiday season we have opened this Visitor Information Center from Thursday to Monday. Your visit to Hellabrunn Zoo should be an memorable experience. We kindly ask you to please be considerate of other visitors and the special needs of our animals. Hellabrunn Zoo endeavours to provide equal access for all to our facilities, including visitors with disabilities. To ensure our less abled guests enjoy the same experience, we have made the zoo as accessible as possible - free from barriers and obstacles. This includes our paths, wheelchair accessible toilets, restaurants and cafés. We also offer special discounts for visitors with disabilities. Have you lost your keys, jacket or ID? Or perhaps found something you want to hand in? 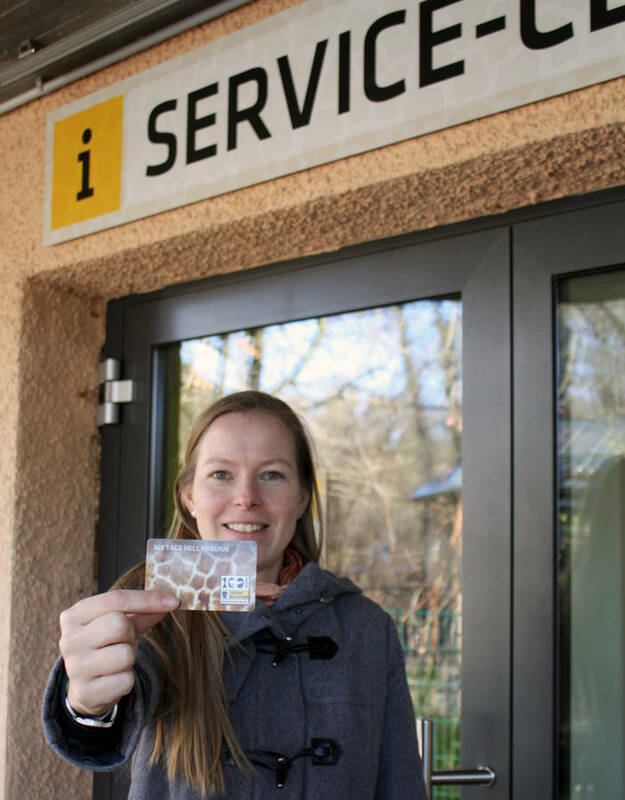 Then please contact one of our two Visitor Information Centers situated at the Isar entrance or Flamingo entrance. Dogs are allowed inside the zoo, but must be kept on a short leash. If you are planning to bring your dog to Hellabrunn please observe the zoo rules for dog owners. The rules are designed to ensure that the animals at Hellabrunn are not affected and that your visit is a pleasant experience for all. Photography and filming for personal use is allowed free of charge. Commercial photography and filming are subject to a fee and require the prior written consent of Münchener Tierpark Hellabrunn AG (Hellabrunn Zoo). Baby changing units are installed in the toilets facilities at the Isar entrance, the Flamingo entrance and the zoo restaurant. Help keep our zoo clean. Please use any of the bins provided to dispose of your rubbish. Thank you in advance. In case of injury, please contact a member of staff or ask for first aid in one of the restaurants or cafés.